The howling outside sounded like a giant train when a power surge suddenly knocked out the electricity in his apartment. That’s when Gatineau resident Vincent-Carl Leriche ran to peek out of his window. 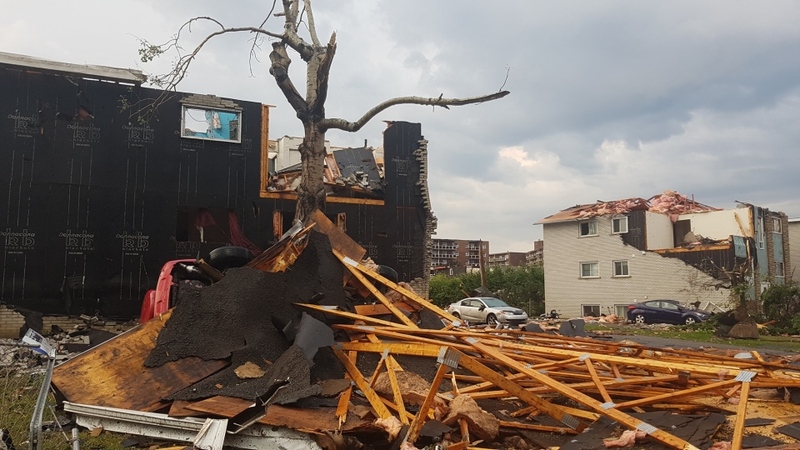 He saw parts of the roof of his building ripped off, wood and other debris beginning to swirl violently in front of him. 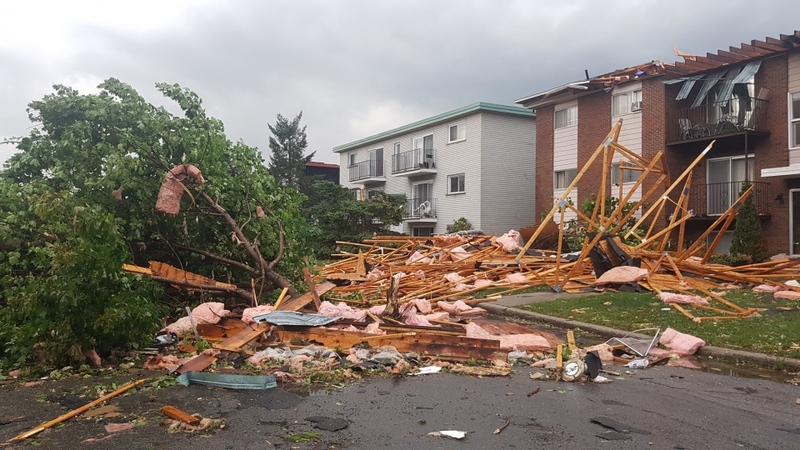 “I grabbed my camera and a few seconds later on, the tornado started to form right in front of me,” he said in an interview with CTVNews.ca Saturday. “I was lucky because I know there were people who were close to windows and were hit by the debris. But I was lucky,” Leriche said. He said he could hear screaming, but no one appeared to be out in the street as he shot the footage from his third-floor apartment. 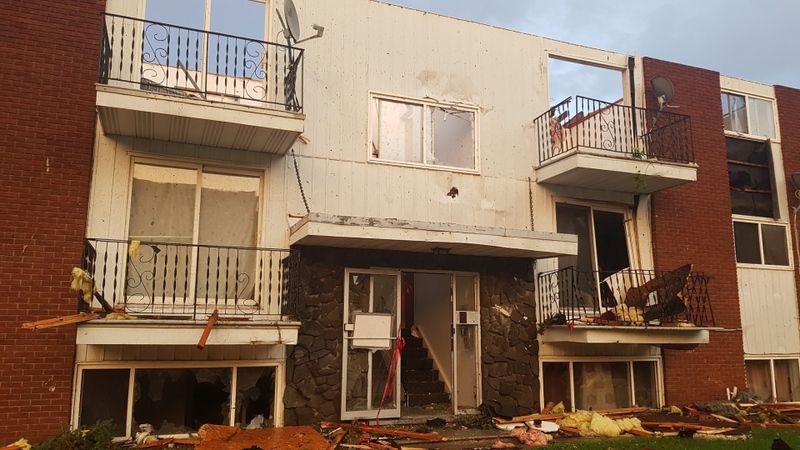 Leriche, like many other residents in the Ottawa and Gatineau region, had been listening to the warnings from Environment Canada during the hours leading up to the extreme weather event. But it was only after he witnessed the violence of the storm firsthand that he realized how he could have been seriously hurt. “At first, you don’t see the immediate danger of the tornado because you're just taken by the spectacle of the tornado,” he said, adding that he also took several pictures before the tornado actually touched down. But that being said, the opportunity to take up footage was too hard to pass up for Leriche. After the tornado lifted, Leriche started surveying the damage the tornado caused in less than a minute. He said he saw lots of windows smashed, cars flipped over, and trees ripped from their stumps and strewn along the street. “You don’t realize how dangerous it is to be by the windows when there’s such high winds,” he said, warning other would-be tornado chasers to step back from the windows when winds are that strong. He’s thankful that his apartment wasn’t damaged and spent Friday night without power. The following morning he was told by a policeman that he would not be able to come back into his building for the time being. Leriche said he doesn’t know when he’ll be allowed back inside his home, but for now, he’ll be staying with friends in Ottawa. He said he’s grateful to be alive.